The story of No Frontiers (NF) goes back to November 1997. The year had been dominated by a Rafik Hariri strengthened by his Syrian allies. Disillusioned by the lack of secular alternatives to the ultra-liberal bulldozer and in anticipation of the yearly student elections at the American University of Beirut, a small group of students from various left-wing backgrounds held a meeting outside the building hosting the canteen. Present were representative of two disparate groups. The first group had been active, mostly in the cultural and ideological spheres, under the Arabic Heritage Club and the Human Rights abnd Peace Club. They broadly defined themselves as Arab Nationalists with strong Leftist influence. Their membership consisted mostly of graduate students of various Arab nationalities. The second group had no structural presence but made of individuals who had met under the umbrella of the short lived Democratic Left Movement (HYD). This early youthful version of the current political party led by MP Elias Atallah was primarily made up of offsprings of members of well-established leftist organisations such as the Lebanese Communist Party and the Organisation of Communist Action in Lebanon (OACL-French Acronym), its membership consisted of essentially middle Class students attending various Private Universities. In effect it disbanded a few months following its inception brought down by inexperience and internal rivalries. Through personal connections and the common realisation that the time was right for a return of the left to the mainstream of student politics, the two groups joined hands under the list No-Frontiers. The name was the fruit of a lengthy brainstorming session and was chosen for its association with Internationalist themes but also in a broader sense Freedom and Human Rights. The deadline was looming and the No Frontiers list could only field a few candidates. As the campaigned gathered momentum electoral and post electoral alliances were forged with a number of independent candidates who shared at least party the political or social vision of the group at university level or beyond. No Frontiers received significant exposure in the written press, due to the novelty of an independent group with its roots solidly implanted in student life but nonetheless with a political outlook. Some found the concept mildly amusing while others expressed scepticism that the left had anything to offer following the demise of the Soviet Block. Criticism extended to the personality of the members and their supposed undeclared links to various political figures and organisations. Very little was noted about the policies and ideas put forward in its pamphlets. From the onset No Frontiers did not identify its foes, and kept an open mind on possible collaboration or at least frank discussions with other lists. it was other political movements who positioned themselves as opponents, either for ideological reasons or as in the case of the ‘People’s Movement’ of MP Najah Wakim because of the threat posed by the new group to the hegemony they shared with Hezbollah over student life at the university. The Future Movement, strengthened by its loyalist position and the financial clout of then Prime Minister Hariri adopted a more neutral approach, probably hoping that it would play in its favour in its battle with its arch-enemies (Wakim-Hezbollah). The List was revealed, among others, at a traditional pre-elections rally in the AUB Canteen and the announcement that the Left had returned to AUB’ in reference to the heydays of the 60s and 70s was welcomed by many. The Progressive Socialist Party (PSP) of Waleed Joumblatt, which influenced a large section of the Druze electorate, offered their unqualified support. The Christian parties such as the the Lebanese Patriotic Movement (FPM) of General Aoun and the Lebanese Forces (LF) remained unconcerned by these developments as they concentrated their efforts on the Faculty of Engineering. The day of the elections was a very exciting time for the supporters of the NF list and despite the listed candidates mostly suffering defeats with extremely narrow margins the feeling that this was the beginning of a new era dominated dominating. Associate candidates did make some gains and played a pivotal role in the elections to the higher student council (USFC) which allowed the group to influence decisions with direct impact on student life. But in general the leading members of NF, whose membership in early 1998 was of 40-50 students from both sexes, focused their efforts on structuring the group, maintaining regular attendance (the meetings were held after 5pm in the rooms of Nicely hall, forging alliances with similar groups at other universities (Tanios Chahine at USJ, Pablo Neruda at LAU and MADS at NDU), organising cultural activities and opposing policies by various peaceful and legal means at the university and in connection with the labour and secular opposition movements. -The Photography exhibition of black and white images dating from the Lebanese civil war. This was faced with initial resistance from the University and other parties but drew the crowds in. A member of NF was told in a radio interview that ‘we were trying to bring the war back to the minds of the Lebanese’. Censorship was also on the agenda as any reference to Syria was actively discouraged. -Co-organising a concert by the singer Marcel Khalife at the Beirut Theatre in Ain-El-Mraise. -Co-organising a March and vigil at the martyr’s cemetery in memory of the Sabra and Shatila massacres of 1982. -Taking parts in various national demonstrations on the streets of Beirut. -NF representatives invited to take part in a TV debate between a selection of students and Prime Minister Hariri at his residence in Kraytem. -Leading the student movement in opposition to the increase in fees at AUB. The movement which was unusually supported by the majority of political movements at the University disrupted classes and exams for up to one week. It was terminated following external political pressures and negotiations with University authorities. -The summer camp in Qornayel with sister organisations. The end of the academic term came in July 1998 and those behind the creation of NF faced a dilemma as they prepared to graduate. The question was how best to maintain links with the university based group without damaging the chances that the following generations would enjoy the same independence that had characterized the group so far. 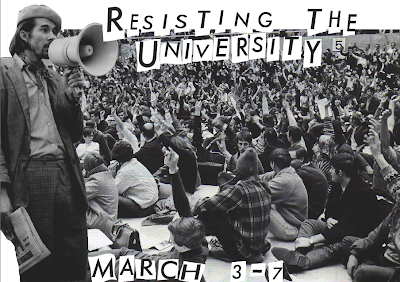 An attempt was made to unite the various university groups under one banner with links to a graduate group. Suspicion and mistrust dominated the debates, with elements and the motion was defeated. As time ran out a graduate group formed nonetheless soon afterwards. As they failed to replicate the NF model their experience was short-lived and acrimonious. Those graduates who maintained their links did so on a personal basis. Eleven years later, NF continues to inspire and provide a reassuring framework for independent thinking at AUB. That was a time when we as leftists failed to build on a certain momentum available.... Unfortunately, we still praise a dead end. What is the dead end exactly? The group is a dead end. It's just spinning its wheels. It has been turned into something empty, unprogressive, and silly. This group might as well die, it's not the No Frontiers that i knew, the students running things now don't even think the same way we did. It will never amount to anything again thats why its a dead end. How is anyone supposed to think like you do if you dont share your views openly and provide alternatives and solutions. The fact is very few independent student groups in Lebanon can claim to have lasted 11 years under various shapes and forms. That cannot be taken away from the group, despite all the mistakes on the way. The split within Bilahoudoud over a year ago is shameful but others share responsibility for it as well, in their pursuit of naive alliances with the 'good sectarians' vs the 'Bad sectarians'. More strategic thinking would have been helpful. I know of no other independent student group (let alone leftist) that has lasted that long, so there is something different there. It seems they are recovering and gaining momentum again. Their meaningfulness will be decided by how they will be open to interaction with others, including the new generation as well as old-time supporters.